Kesari: Akshay Kumar New Look Out! The turban is a sign of pride and joy for every man who wears one. Akshay Kumar’s role in Kesari proves just that. With PadMan receiving a lot of love from the audience, Akshay’s Kesari is poised for a successful run. Check out Akshay Kumar’s first look from the movie here! Directed by Anurag Singh, Kesari is Akshay Kumar’s first collaboration with Karan Johar’s Dharma Productions and is based on the 1879 Battle of Saragarhi. Interestingly, two other movies are also being made on the same topic. Ajay Devgn’s Sons Of Sardaar and Randeep Hooda’s The Battle of Saragarhi. Salman Khan was to be part the Akshay Karan collaboration but he reportedly opted out after Ajay requested him to not release another film on the same subject. Akshay Kumar’s first release this year was PadMan: on 26 January, 2018. Kesari will arrive in theatres during Holi. When Alia Bhatt made her first faux pass on the show Koffee With Karan, many thought this particular star kid wouldn’t last for a long time. However, the then one movie old actress learnt to not only laugh at herself, but made sure people started taking notice of her because of her movies, not because of her blunders on national television. Here is taking a look at some of the truly brilliant performances given by this extremely talented actress! To talk about Alia Bhatt’s best performances and not have Student of the Year on the list is quite a bold dismissal. Making her debut as the rich brat, Shanaya, Alia made sure she more than made her presence felt. With a confidence not many possess in their first movie, Alia certainly proved she was a great actress in the making with Student of the Year! While Highway maybe a couple of years after Student of the Year, this movie proved how much Alia could achieve if she had a great director showing her the ropes. Transforming from a ditsy newbie to a strong individual, Highway was quite definitely her ticket to fame in the world of Bollywood. From the moment this particular movie hit the screens, everyone knew they had a brand new star in their midst and why not? Playing the role of a girl who sympathises with her kidnapper and shows the world just how strong she is on her own, Alia blew the roof with her brilliant acting. Not bad for a mark maker at all! When it comes to doing a movie like 2 States, it is hard to picture someone like Alia Bhatt fitting into the lead role. A girl from Chennai, without any over the top glamour, falling for a boy from Punjab. Who would have thought Alia could have done justice to the role? In fact, many would have thought a character reversal was definitely in the works for this particular movie. However, just like with her other movies, Alia proved otherwise. Playing the role of Ananya, a girl who in every way wants to do what she believes is right, Alia made a lasting impression and won over even the coldest of hearts. Furthermore, she proved with 2 States that she was never going to be pigeonholed into playing only a certain role! When Udta Punjab started doing the media rounds, it took people a certain amount of time to come to terms with the fact that the main lead was played by Alia. Completely letting go off her glamorous look, Alia Bhatt dug deep into the Punjabi girl she was playing and boy, did she work her character well! Fierce like never before and paying attention to every detail, Alia Bhatt more than proved her salt as an actress who was here to stay. From playing the victim, to pushing everything away and owning her confidence, Alia rose to show the world she was going to rule the Bollywood roost. Unlike the above mentioned films, Dear Zindagi saw a different side of Alia. Playing the role of a confused and vulnerable daughter, Alia showed everyone that in order to know who you are, you have to start accepting everything about yourself. Playing a part glamorous and a part simple character, Alia was quite a treat to watch in this particular movie. Another movie which brought out the finesse in Alia’s acting skills was Raazi. From the way she proved herself in a new house, to protecting her home from a life threatening war and to coming to terms with the fact that even her life was dispensable, Alia’s role in this movie was commendable. Despite everyone else doing a really great job with their characters, it was Alia who stood tall and strong in this movie. As the actress turned a year older a couple of days ago, it is fitting to say that not only has she grown in age, she has also grown as an actress. Someone once said, for an actress like Alia to blossom, she needs a good director guiding her forward. If these movies are anything to go by, then that fact is certainly true! What is your favourite Alia Bhatt movie? Comment and let us know! 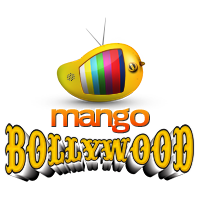 How many times have you heard of a Bollywood film inspired by either a Tollywood or a Hollywood film? More number of times than you can count, right? We agree. However, there are some movies which did so well in Bollywood, they inspired some really great Hollywood movies. Here is looking at Bollywood films which not only made a mark on the Indian audience, but on the rest of the world as well! Perhaps one of the best movies Neeraj Pandey has made in his career, A Wednesday received so much praise, it was critically acclaimed internationally as well! So loved was it by the world of Hollywood, they thought just one film like this wasn’t enough. Sri Lankan film maker, Chandan Rutnam loved it so much, he officially remade it as A Common Man in the year 2013. With Ben Kingsley playing the role of Naseeruddin Shah, Rutnam recreated the movie with only slight tweaks in the script. A Common Man did so well, it bagged not one, but several titles, such as the Best Picture, Best Director and Best Actor awards at the Madrid International Film Festival. When Jab We Met released in the year 2007, it quite literally redefined love and all the expectations people have from relationships. For years after, this movie became a gospel of sorts for when it came to love stories. This is why, when Leap Year was announced, it came as no surprise to people all over the world. Leap Year had Amy Adams and Matthew Goode in pivotal roles! While Jab We Met had everything you could want from a romantic, feel good Bollywood movie, Leap Year made you want to think about the choices you make. With an equally great premise, both the movies stay embedded in your memories because of their great storytelling. When Vicky Donor released in India, it made quite a splash at the box office and with the critics because of its unique concept. While the Bollywood world and its audience really appreciated this concept, Hollywood loved it to no end as well. Taking inspiration from the story of Vicky Donor, Hollywood produced a brand new movie with the same concept, called Delivery Man! The only major difference between the two films was, while Vicky in Vicky Donor helps give birth to more than 500 children, the lead in Delivery Man helps give birth to around 100 kids! Remember the Yash Chopra directorial, Darr? The psychological thriller starred Shah Rukh Khan, Juhi Chawla and Sunil Dutt in the lead roles. It did so well, it received appreciation from fans and critics alike. Still remembered as one of the most iconic characters played by Shah Rukh Khan, Darr was the inspiration for the Hollywood thriller, Fear. From the characters, to the story line and to the direction style, Fear was quite literally copied from Darr. When Fear released, the movie did so amazingly well, it was one of the biggest hits of 1996. Directed by Raj Kapoor and starring Vyjayanthimala, Raj Kapoor and Rajendra Kumar in the lead roles, Sangam was a sensational success when it hit the screens. A love triangle set during a war, this movie was not just famous for being an iconic one, but for Raj Kapoor’s character as well. Kapoor’s character in Sangam is deemed as the best one ever played by him! So well done was this film, it became loved across the borders as well. It inspired the 2001 super hit Hollywood film, Pearl Harbour. With the script and everything else being the same, the only thing which was perhaps drastically different was the fact, Pearl Harbour was set against the backdrop of the Pearl Harbour attack! When you see your favourite Bollywood films acting as inspiration for Hollywood movies, you know things are right in the world! If you think we missed out on any other Hollywood movies inspired by Bollywood movies, comment and let us know!